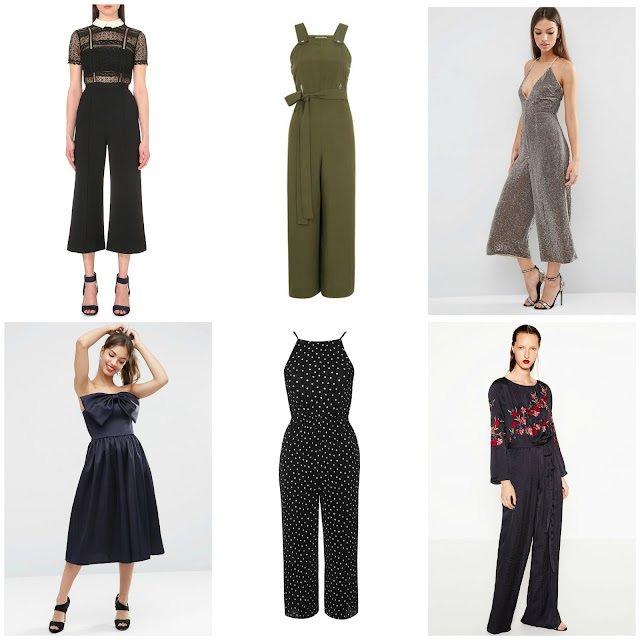 This season, I’ve grown very partial to the jumpsuit. Honestly, I never thought I’d be able to pull one off – I always thought they only suited skinny, 6ft something ladies with no curves. But, I decided to give one a go, and I haven’t looked back. Heck, I may even wear one at my hen party in a few weeks! Here are a few I've spotted on the high street recently. 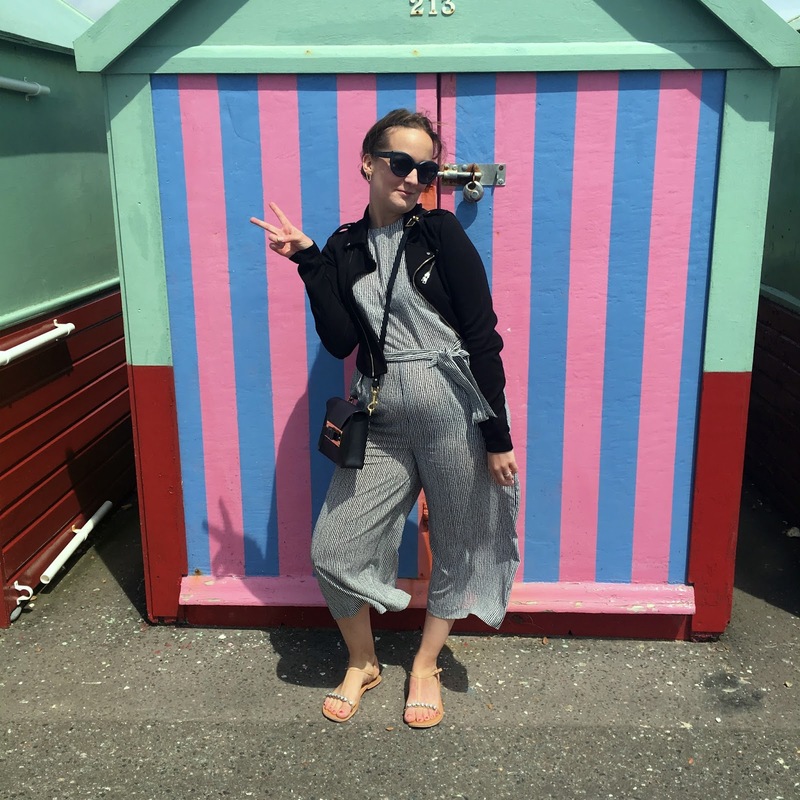 The only thing I will recommend, is making sure you’re with someone you trust if the jumpsuit has a zip – it can be quite a tricky situation to be in if you need someone to unzip you when in the ladies. Trust me, I’ve been there. 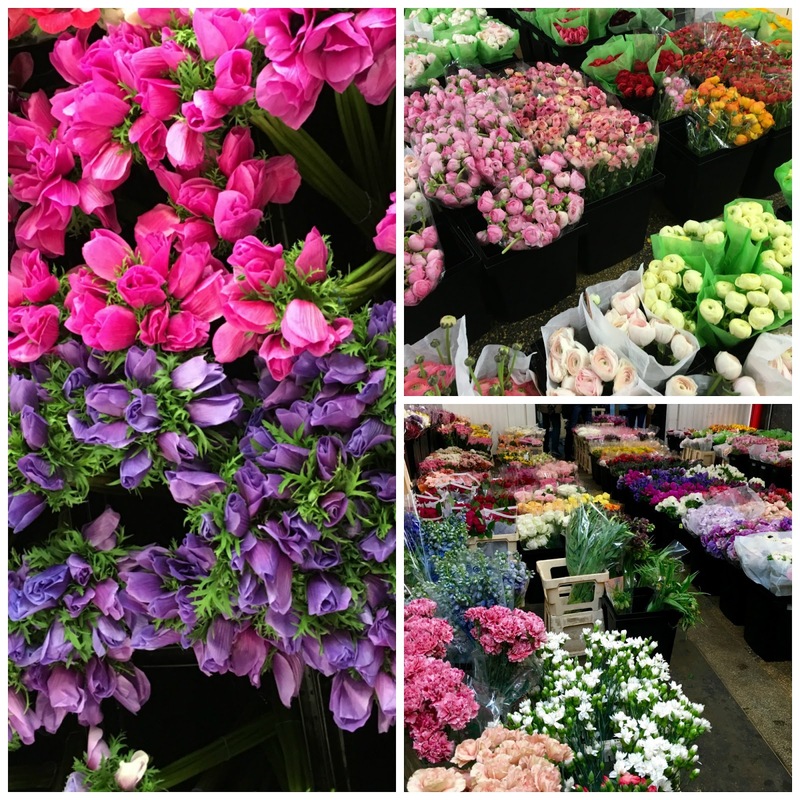 Today’s post is all about my favourite florists I’m inspired by. 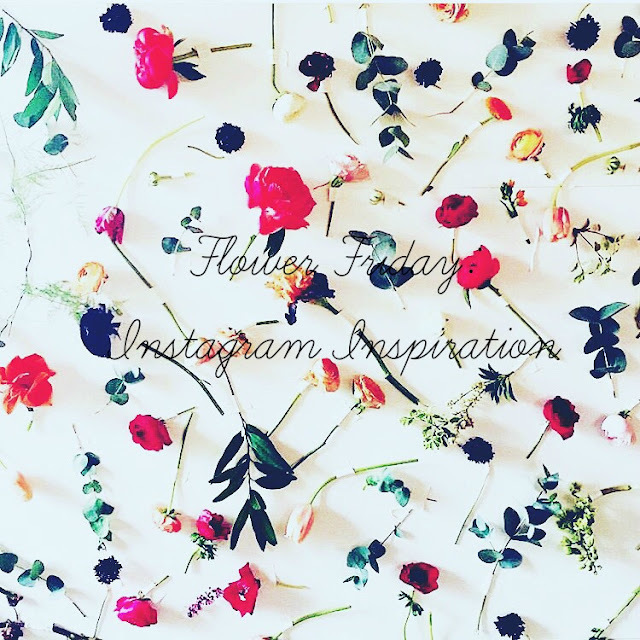 I get most of my inspiration via Instagram – I prefer it to Pinterest and I find it less overwhelming as well! Below are a few accounts I follow. 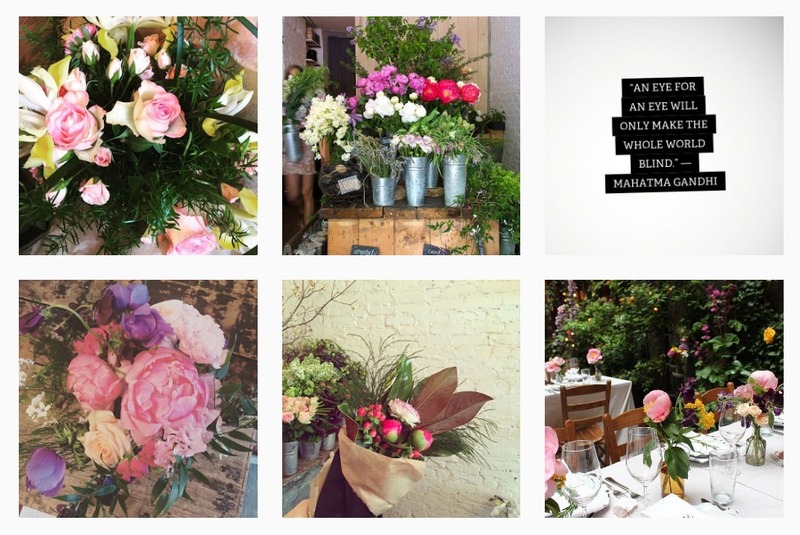 If you can think of any other florists I should be following, let me know. One I always swoon over without fail. Flower Girl is based in New York and has very quickly grown a huge following. 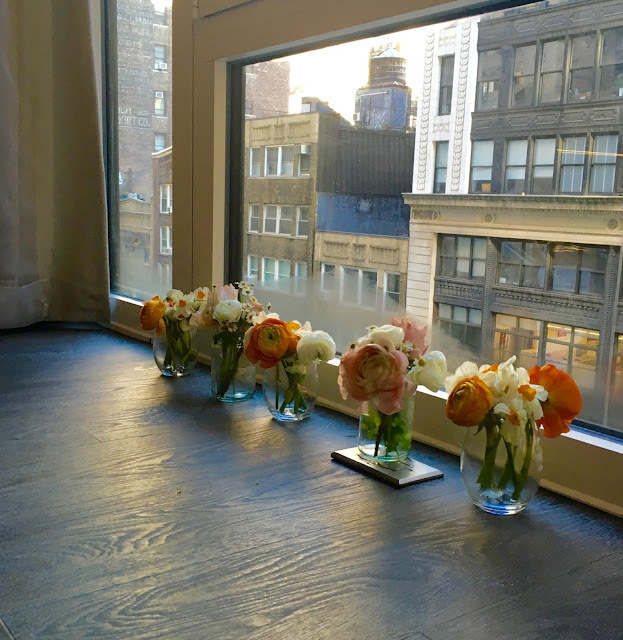 Effortlessly cool, creating some gorgeous arrangements, for private clients and brands such as Chanel and Marc Jacobs. 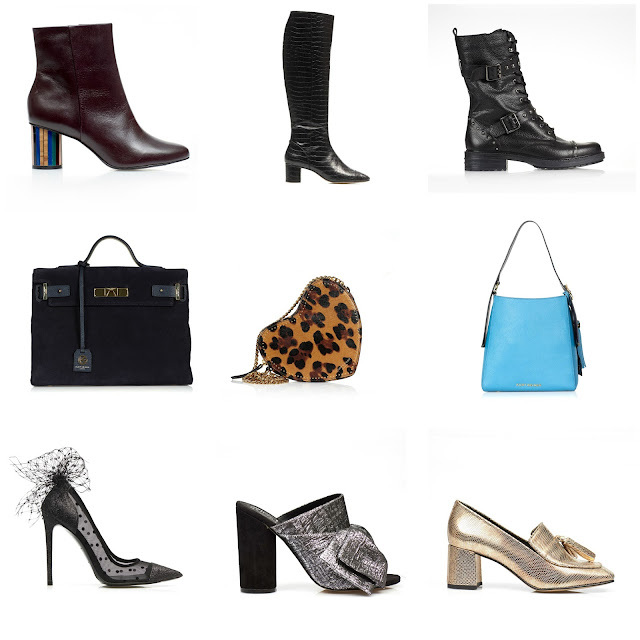 They have two majorly chic stores in Manhattan and a helluva lot of followers over on Instagram. UK-based, Ivy Florence was set up just over a year ago and has grown very fast. Owned by a very lovely friend of mine, Jenna creates beautiful arrangements and bouquets for all occasions. 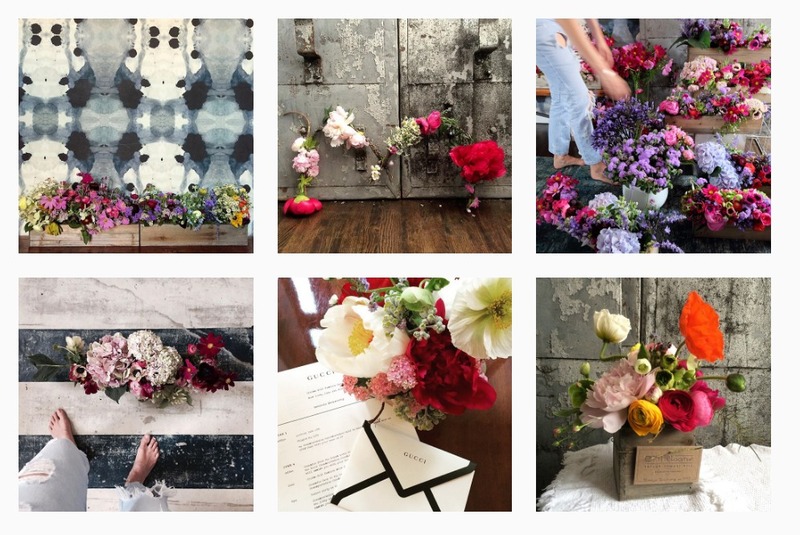 Her instagram is full of pretty flowers and setups and is perfect for brides to be who are looking for inspiration, or a florist for their wedding! 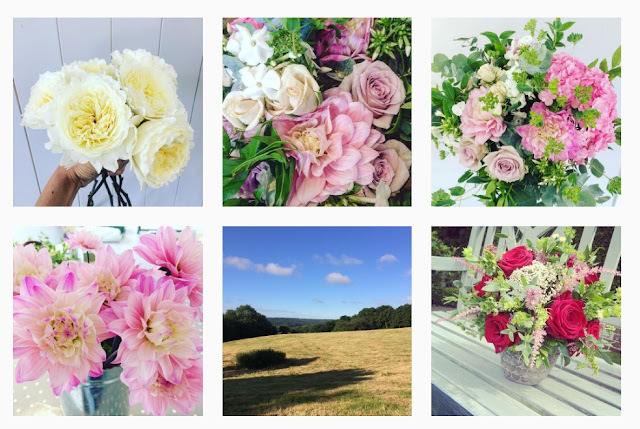 Katie has been working with flowers for over 12 years; running a successful flower shop in Sussex for 6 years and then going on to be a much sought after and alternative wedding and event florist. 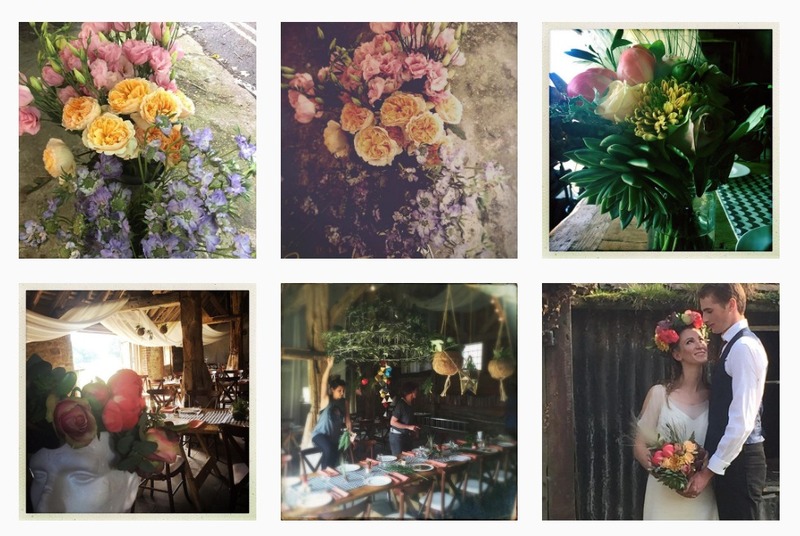 Katie now runs beautiful fresh flower workshops, based in Brighton, but also attending events across Sussex & London. Check out last weeks Flower Friday post, where I talked about her Summer hand-tied Bouquet workshop. When flowers go high fashion – former Marie Claire and Teen Vogue Editor, as well as ex creative director at luxury e-retailer Moda Operandi, Taylor has branched out (excuse the pun) to floristry, and her Instagram account is a slice of inspiration heaven for budding florists (again, excuse the pun) like me. 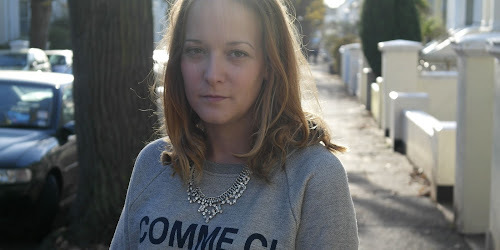 This Summer I decided to step out of my 'comfort zone closet' and try something new. 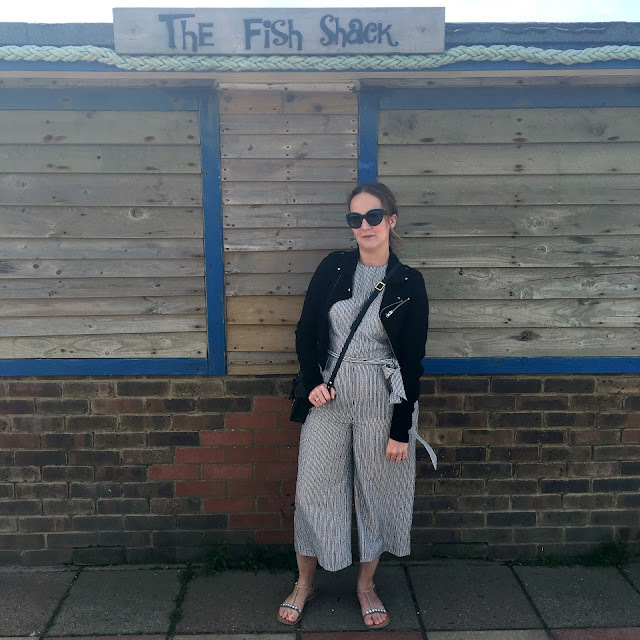 Whilst doing my usual Sunday evening online browse session, this Warehouse stripe jumpsuit caught my attention and I decided to give it a whirl. I've always been put off by jumpsuits, thinking that they only suit the 6ft slim ladies out there but, I've been pleasantly surprised how often I've worn this. The perfect day-to-night outfit, and although it's slightly tricky to get out of when you need a wee it is definitely one of my favourite pieces of the moment. The last few weeks have been a tad busy. I've been here, there and everywhere and now I'm on full wedding countdown, it doesn't look like it's going to slow down anytime soon. It's always important to look after yourself - even at the busiest of times. I try and take an evening off from the screens in my house (including the phone) and relax. 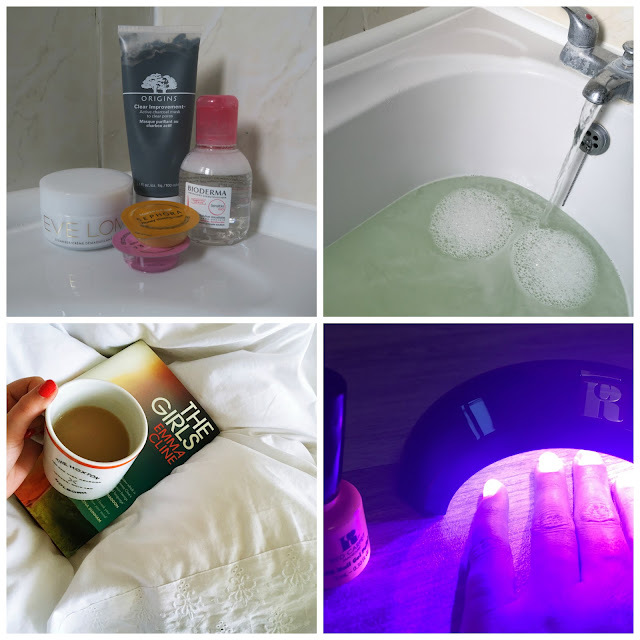 It may sound harder than it is, but I have the perfect pamper routine that will get you in the zone. Run a bath and pop in your favourite bath product. It could be a bath bomb from Lush, or some relaxing bath salts (I use L'Occitane Aromachologie Relaxing Bath Salts). I'll also be lighting a couple of candles and dimming the lights - who says you need to go to a spa for the ultimate relaxation experience? When I plan on having a long soak in the tub, I use that time to give myself a DIY facial. I always remove my makeup beforehand with my trusty Bioderma Micellar water and then give myself a double cleanse with my Eve Lom Cleanser, followed by a light exfoliation and a face mask which I choose depending on how my skin has been acting recently. This time I used the Origins Clear Improvement Active Charcoal Face Mask as it helps unblock pores. I wait until I'm out of the bath before applying an overnight moisturizing mask which I grabbed a load of from Sephora when I was in NYC back in March. If the above hasn't relaxed you enough, then hopefully the next part will. This is when I give my nails a bit of a spruce followed by a paint. I don't tend to paint my nails that often - mainly because I can't be arsed to sit still and wait for them to dry, and I quite like having them done at The Final Nail in Brighton. However, I was recently sent the Red Carpet Manicure Kit and although there's a fair few steps to do, it lasts a lot longer on my nails than regular nail polish and saves me the money I would've spent on having my nails done. 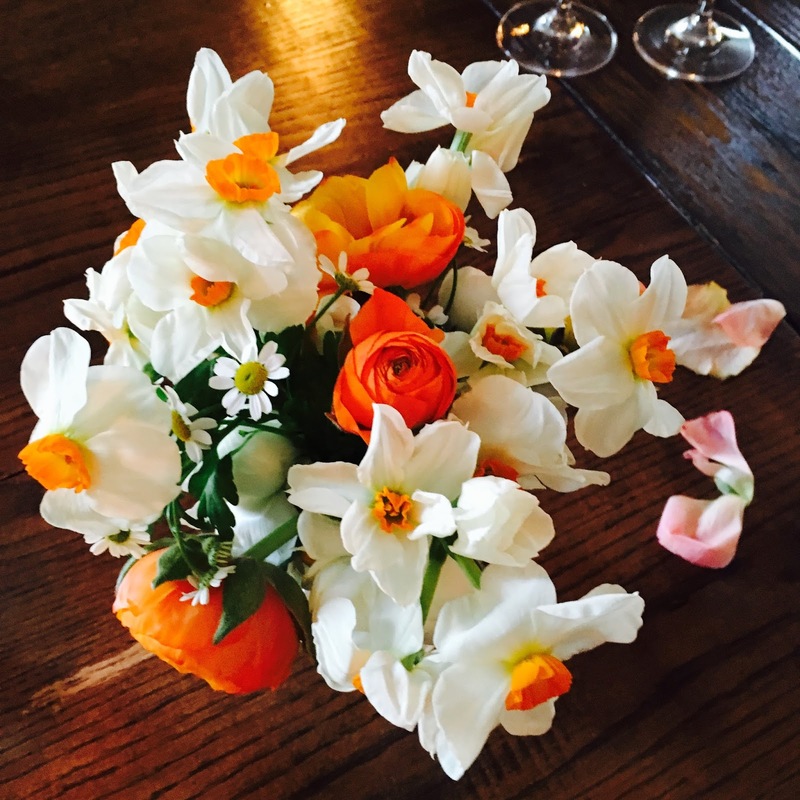 As I’m sure I’ve mentioned in the past, I’m doing my own wedding flowers - from table arrangements to buttonholes and my own bouquet. 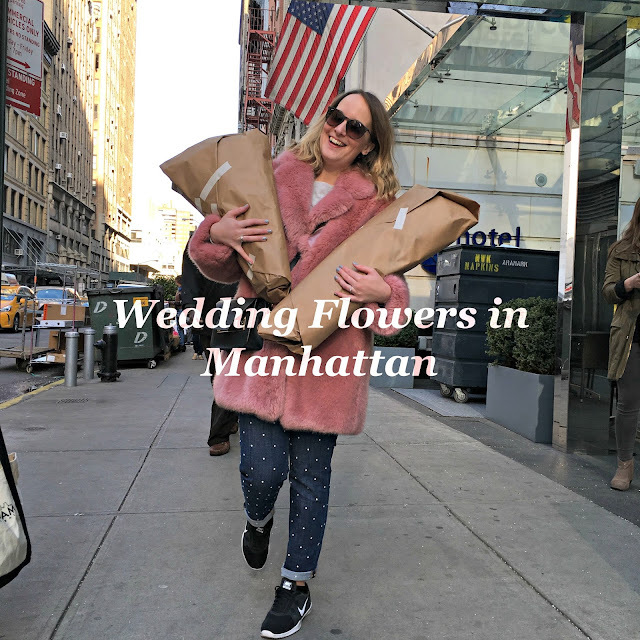 As you may have seen in last week's flower related post, I did my friend's wedding flowers in New York and they went pretty well. 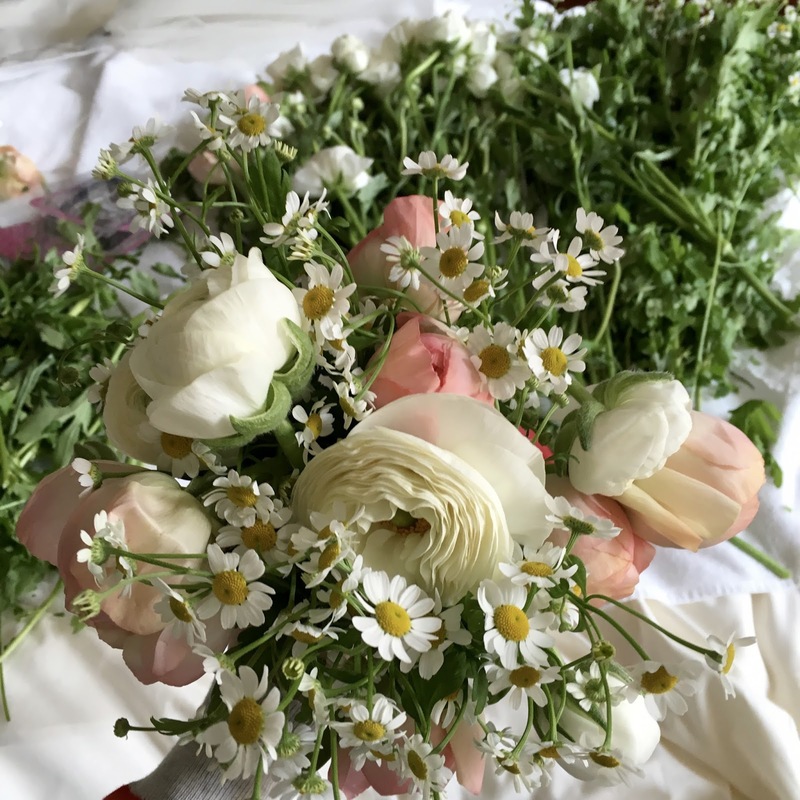 I decided that I wanted a bit more practice before my wedding so last month, I booked myself onto a hand-tied Summer Bouquet flower arranging workshop with the lovely Katie from Flower Show Presents. 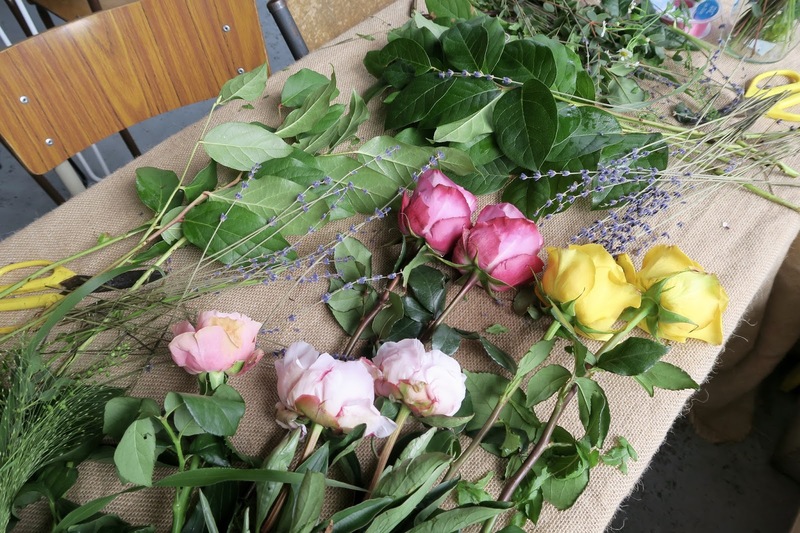 Katie has been working with flowers for over ten years, and has set up flower workshops for people like me who love to express their creativity with flowers and want to learn more on arranging them. Katie talks you through the steps very carefully, and is on hand if you get stuck. 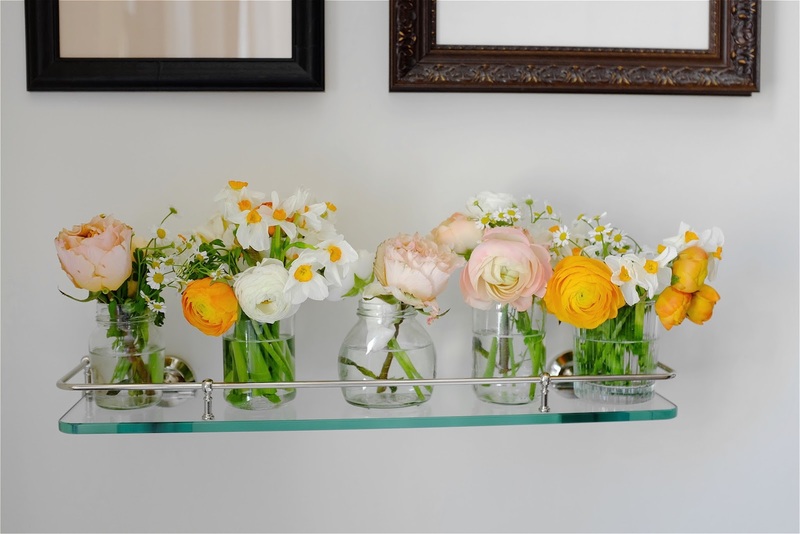 She gave me some great advice for doing my own wedding flowers, which will come in so handy. Keep them in a light environment but, not not in the direct sun and heat. This can brown the petals. 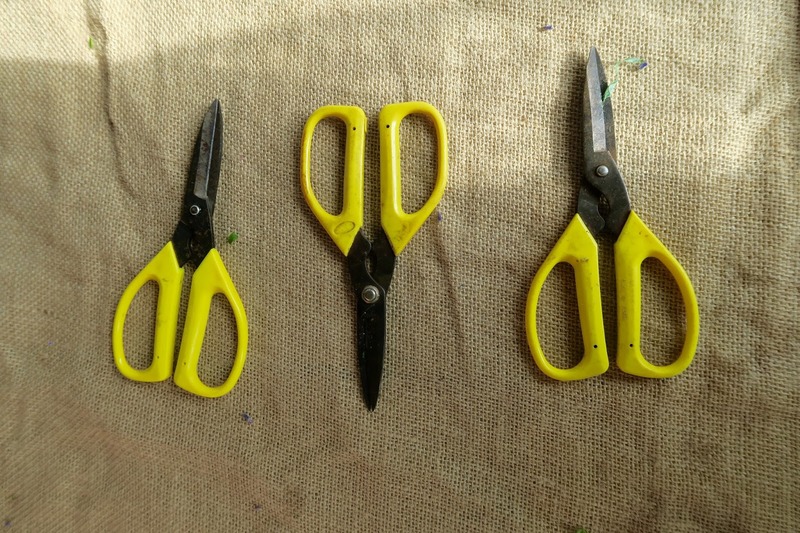 To give them a bit more longevity, trim the stems after a few days and give them clean water. 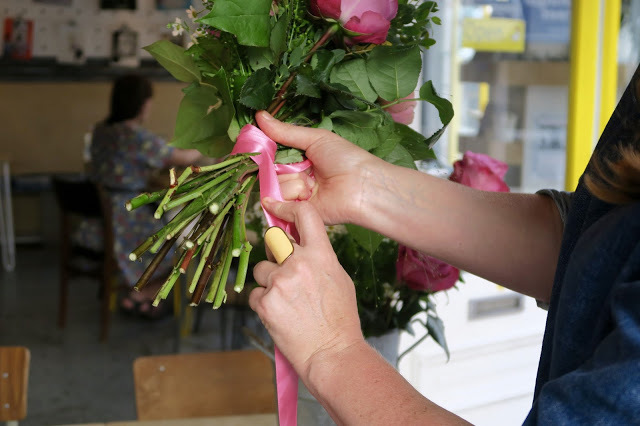 If like me you like flower arranging, I can highly recommend signing up to a workshop. Katie does them all over Sussex, so give her a website a look to see when her next one is. She also does hen parties, which sounds like a fab idea! 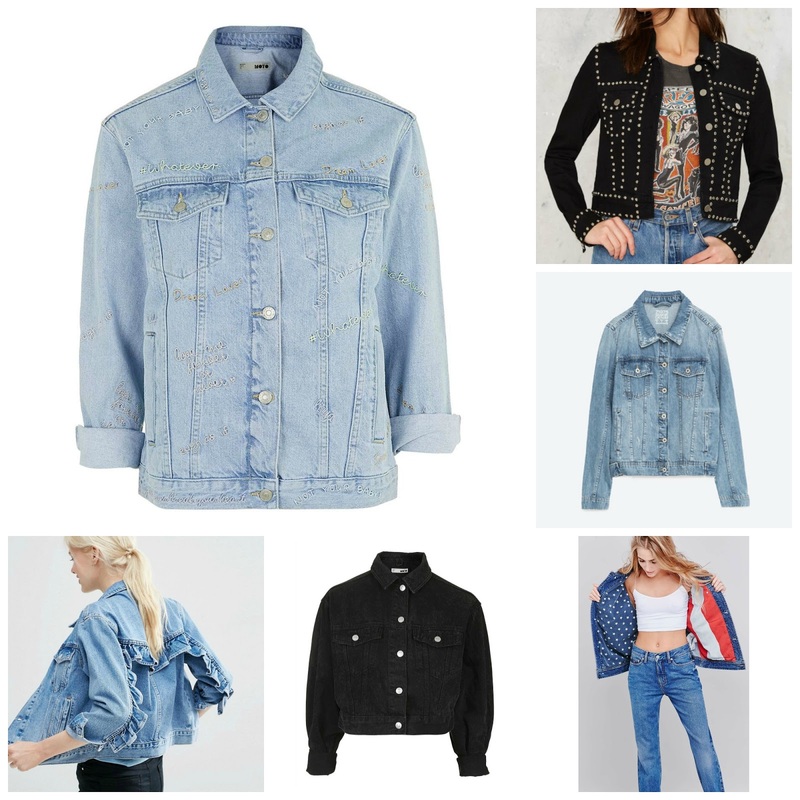 One of the most timeless pieces in the wardrobe, the denim jacket is a favourite and such a great piece for women and men. I’m on the hunt for a denim jacket at the moment, and I’d like one that’s a little different to the generic style. The ones above are all from the high street and available online. Plus, they’re all have a little design difference on them – from wash to embroidery to shape these jackets are great if you’re looking for something that stands out. I’m in London a fair bit – mainly for work, so on the rare occasion that I’m visiting the city for fun I try and do something a little different. The other week, I had some time to kill before heading to meet a friend. As the sun was shining, and I had my trainers with me I decided to walk through Hyde Park via the Serpentine. Each Summer they have an architecture installation within the park. For 2016 they decided to commission four architects to each design a Summer House. The four Summer Houses are inspired by the nearby Queen Caroline’s Temple, a classical style summer house, built in 1734 and a stone’s throw from the Serpentine Gallery. Yona Friedman’s Summer House (above) reminded me of a huge climbing frame. My inner child was very tempted to start climbing, but I thought it would be best if I didn't. It takes the form of a modular structure that can be assembled and disassembled in different formations. The Summer House is constructed from plywood and timber, materials intrinsically in harmony with the looping geometry of the structure. The Serpentine Pavilion, designed by Bjarke Ingels Group (BIG), is an ‘unzipped wall’ that is transformed from straight line to three-dimensional space, creating a dramatic structure that by day houses a café and free family activities and by night becomes a space for the Serpentine’s acclaimed Park Nights programme of performative works by artists, writers and musicians. If you find yourself in the area, go and check them out. Heck, even grab a picnic and make an afternoon of it. The Pavilion is open daily from 10am to 6pm, with all installations hanging around until early October. Summer is coming and even though it’s not been a great start weather-wise, I’m still excited to try out all the summery nail polishes on my toes. I was kindly sent the new Morgan Taylor Street Beat collection, and over the last couple of weeks I’ve been giving them a good old testing. With six new shades including a crisp, striking coral, powerful pink pearl, fierce teal, wild style yellow orange crème, and more. A bubblegum pink crème, this colour is very soft and a nice break in the collection from the other bright colours. A teal colour with a slight pearl shimmer. I tend to stick to my usual pinks / reds / nudes when it comes to my nails. This shade is gorgeous when applied but, not for me. A sunflower yellow colour, although it is more neon than a sunflower! I’d say my least favourite of the collection and also the most difficult shade to apply. This beats Essie’s Lounge Lover hands down! A hot coral colour with a golden shimmer – the perfect Summer shade! The collection is definitely one to try if you're looking for some new Summer shades to add to your collection. The Morgan Taylor Street Beat Collection is available from here now. Whistles is one of my favourite stores on the high street. 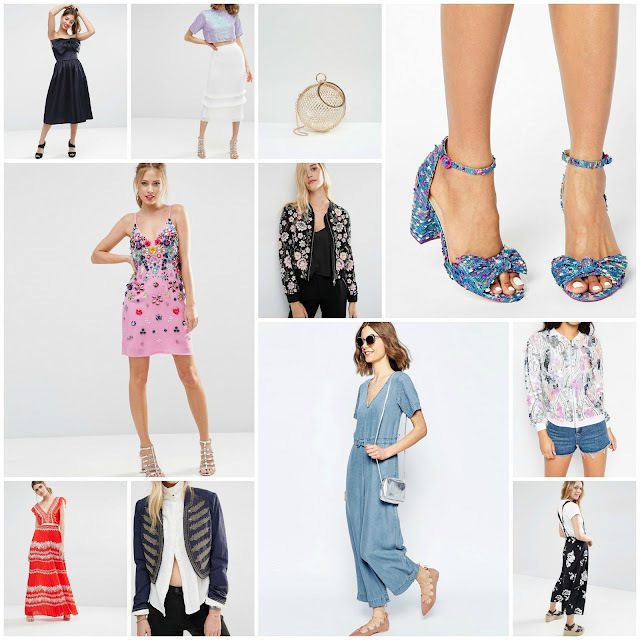 Although it may be a little expensive, the quality is brilliant and, if you're into the transitional wardrobe like me they have some seriously stylish pieces for this season and beyond. With this in mind, I've decided that this weeks edit is dedicated to them. 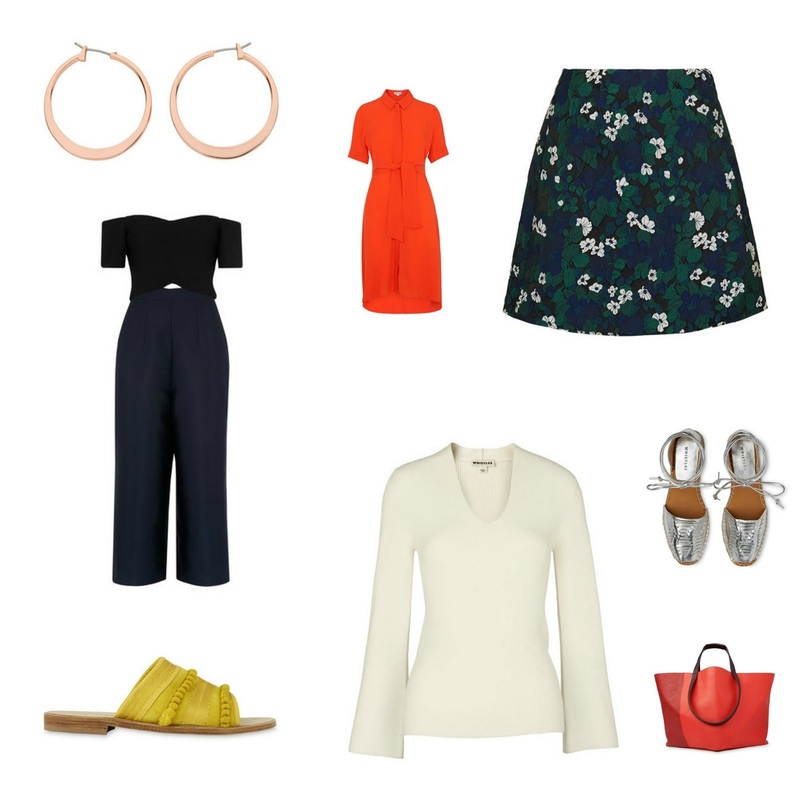 Great for work, play and nights out, Whistles is the perfect go to brand for chic, wardrobe staples. Most pieces I've purchased recently from the brand, are perfect dress-up/dress-down numbers – the best excuse for splashing that little bit more cash. I’ve lived in Brighton all my life, and one of my favourite times of year in the city is the start of Summer. There are various events taking up residency across the city, giving it a new lease of life. 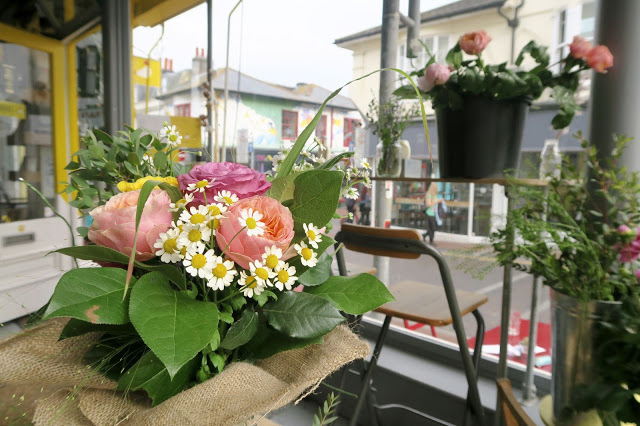 Colour starts popping up everywhere making Brighton that little bit brighter...even on a rainy Summers day. 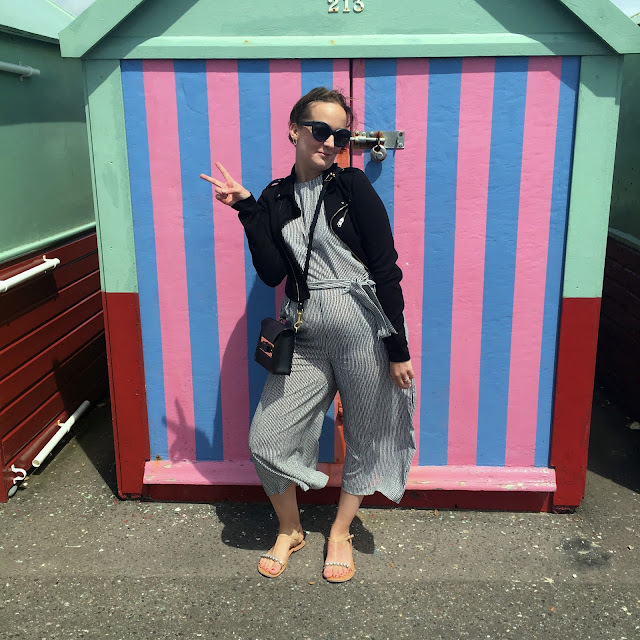 Life doesn’t seem to be taken too seriously in Brighton when the sun comes out, and that’s what makes me love my hometown that little bit more.